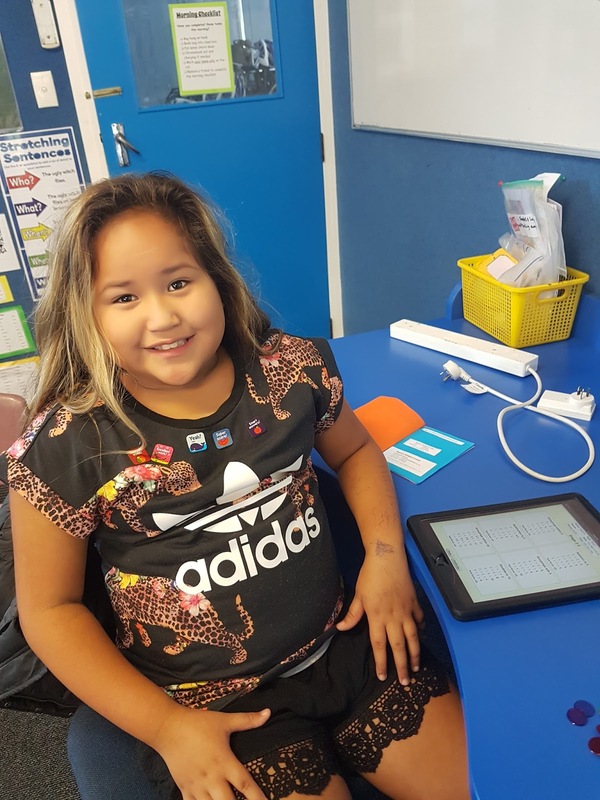 Ngarino has been enjoying her Maths learning. She is working in a group and also works independently on Maths Buddy and Prototec basic facts on her I pad. 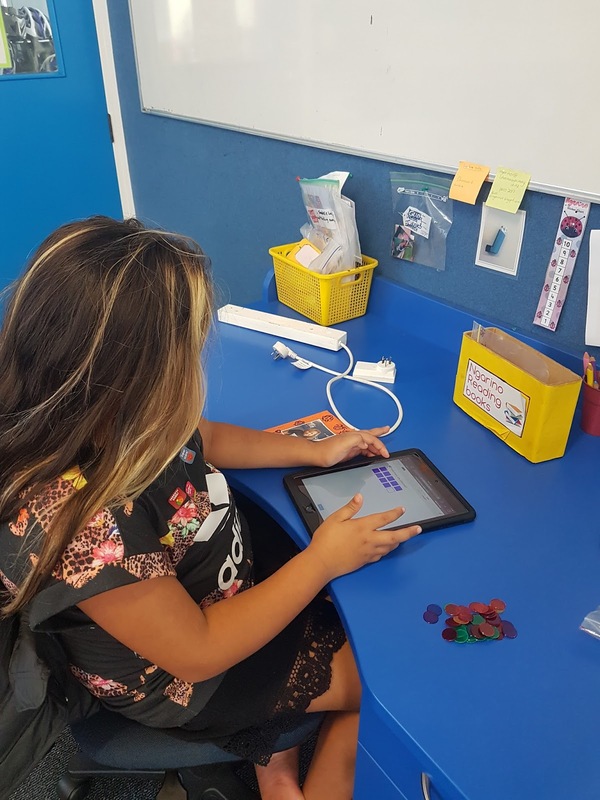 Here is a video of Ngarino using Maths Buddy. She uses the speaker tool to listen to the question. Ngarino uses material to help her answer her Basic Facts questions on Prototec. 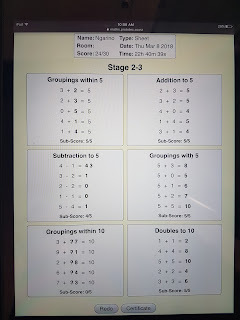 She is working on adding and subtracting sums to 5. 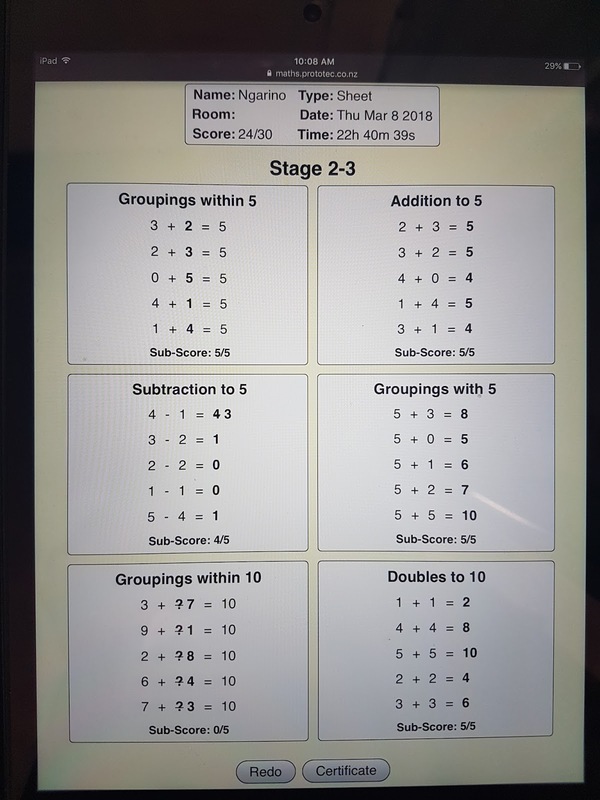 She is starting to recognise some sums and answer them without using her counters. Keep up the great work Ngarino. Duffy Certificate - Week 6.